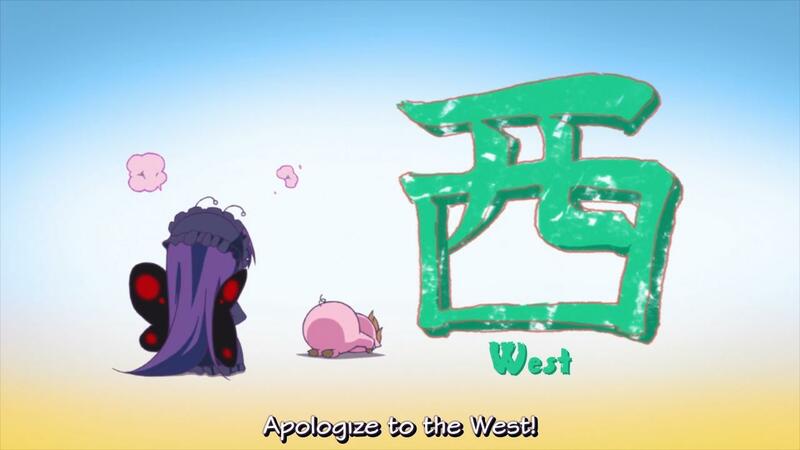 The reason why Haruyuki has to apologize to the West is because he made a joke about the Kansai people. For the people who don’t know about Kansai: It’s a region which features a particularly interesting dialect (in my opinion). Because he’s not from this region as he spoke a line in this dialect, he’s forced to apologize to the West. Here, the West probably means Tokyo (having the common used version of spoken Japanese). I find this scene totally incomprehensible, and many people agree with me. 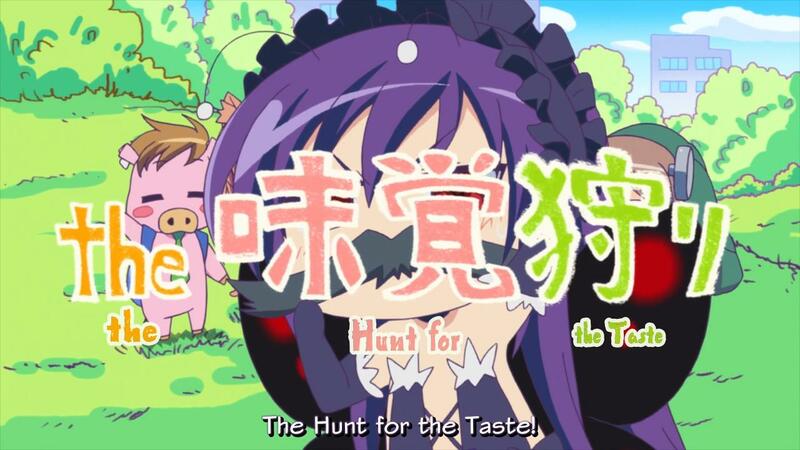 So she’s looking for something other than mushroom hunting, so she hunts for a taste (味覚, mikaku), whatever that may mean. This gets punned on immediately with the word 未確認(mikakunin, unidentified). Therefore, apparently the focus on the word “taste” has been lost and she gives up on that. Yeah, whatever.